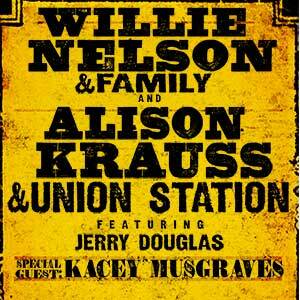 If not my exact words, that’s at least what I was thinking when I logged into Engine 145 Feb 10 to Ken Morton Jr’s headline – “Willie Nelson, AKUS announce co-headlining tour.” Why in the world would two seemingly completely different acts share a stage unless for a one off benefit show somewhere in Texas or Nashville? Well I didn’t get my answer June 17 at The Blue Hills Bank Pavilion on the Boston Waterfront, but I was treated to four hours worth of music across the span of three acts. She plucked away on the banjo during “Merry Go ‘Round” and tried to get the crowd going during the chorus of “Follow Your Arrow,” which worked surprisingly well. Both were good, but Musgraves stunned with “It Is What It Is,” wrapping her voice around the lyric brilliantly. She gave her underrated steel player a gorgeous solo – and an “I love Pedal Steel” shout out – that easily trumps the recorded version. The main concern people have with Musgraves is her burgeoning friendship with Katy Perry, a move that could transition her away from country. But the set showcased her country bonafides wonderfully, from her naturally twangy voice to her love of western themes (trademark neon cacti). As proof, Musgraves and her band closed their set with a glorious a Capella rendition of the Roy Rogers classic “Happy Trails To You” featuring the refrain “Till We Meet Again.” I know I’ll be meeting her again, hopefully as a headliner, real soon. While their set was familiar, it was heavy on uptempo material, which I found surprising, given Krauss is known for her ballads. It worked though, as a whole night of ballads would’ve been too much. Even more startling was Dan Tyminski’s heavier-than-usual role acting like a second lead singer more than just a band member. He ripped through many of songs he fronts including “Dust Bowl Children” and got a charge out of some venue workers with “Boy Who Wouldn’t Hoe Corn.” Krauss showcased her trademark wit when talking about “Hey Brother,” his collaboration with EDM mastermind Avicii and the mainstream exposure it’s afford him, including a prime spot over the speakers at Kohl’s stores. Tyminski played that, too, along with his classic rendition of “Man of Constant Sorrow.” He’s a great singer but his prominence was likely do to Krauss’ vocal troubles over the past year. Her master Dobro player Jerry Douglas also got a solo, plucking away on covers including one by Paul Simon. He’s incredible and the obvious master of his craft. They closed their set with an encore highlight, gathering around in a semi-circle to gift the audience short snippets of “When You Say Nothing At All,” “Down At The River To Prey,” the chorus of “Whiskey Lullaby” and a fabulous take on “The Long Journey,” which Krauss recorded with Robert Plant. The inventive encore was the highlight, a surprise moment of magic. At this point, especially since they haven’t released new music in three years, Krauss and Union Station is a well-oiled machine, albeit an exquisite one. It’s hard to believe Willie Nelson is a man of 81, when he sings and has the energy of men thirty years his junior. After the show a friend asked me if he still had the goods and with a resounding yes, he does. But really, does he sing well? No, he doesn’t. But much like Kris Kristofferson, that’s to be expected, as Willie will always be Willie. He also turned in fantastic renditions of “On The Road Again” and “Good Hearted Woman,” which he dedicated to Waylon Jennings. When he launched into “Beer For My Horses,” I didn’t recognize the song at first given how he’d changed it up, but the lyric caught up to me when he got to the “Pappy told my pappy” line in the second verse. I always love hearing him sing “Me and Paul,” and especially liked the all-too-appropriate line about him singing on a package show with Charley Pride. Nelson had his family band with him, which included his two sons and sister Bobbie, who gave a nice piano showcase. His guitarist was introduced as simply as Johnny, and revealed late last week to be the actor Johnny Depp, who’s in town playing Mobster Whitey Bulger in the biopic Black Mass. As much as for his own material, Nelson’s set was a showcase for country music. He gifted us with three Hank Williams covers – “Jambalaya,” “Hey Good Lookin,” and “I Saw The Light,” all of which were outstanding. He turned “Mama’s Don’t Let Your Babies Grow Up To Be Cowboys” into a chant, converting the word ‘mama’ into a deep-throated wail, which worked for a sing-along but became grating. Nelson, who transported the crowd to a 1970s Texas honky-tonk with his unique outlaw sound, closed the show (and evening) with a sing-along that brought out Krauss, Union Station, Musgraves, and her band. With everyone on stage they went through the gospel favorite “I’ll Fly Away” and country standard “Will The Circle Be Unbroken” among others. It was fabulous he included everyone in this and it was a hoot to see Musgraves’ band in their flashy suits that light up like a Christmas tree. All and all it was a fantastic evening of live music that left this Musgraves, Krauss, and Nelson fan extremely satisfied. Given that Rounder Records began in Massachusetts, it’s wonderful that Krauss gave a shot out to the people who signed her in 1985 – who also happened to be in attendance. Now, could Nelson have sung “Poncho and Lefty” or “City of New Orleans?” Of course. Should Musgraves have been allowed to play longer? Hell, yeah. Did I want to hear Krauss sing a bit more? Without a doubt. But that’s just nitpicking a near perfect evening of exceptional music from three of the brightest talents country music has to offer. Just a terrific show, and wonderful evening, all around. As predicted by Bob McDill twenty years ago, it’s not that uncommon anymore for artists to go country, especially those known for other career aspirations. It’s particularly true for television actresses, with Pretty Little Liars star Lucy Hale adding her name to the growing list that includes Jana Kramer and Julianne Hough. Hale is no different than her contemporaries, having to fight to earn her country credentials just like Kramer and Hough before her. With ample fiddle and a cool yet catchy drumbeat, she sets off on the right foot with “You Sound Good To Me,” a sunny uptempo number written by Ashley Gorley, Luke Laird, and Hillary Lindsey. Hale brings a natural effervescence to the track that works well. Hale brings a sinister vibe to “Goodbye Gone,” a dusty banjo-infused rocker written by J.T. Harding, Melissa Peirce and Andy Dodd. She may be caught up in the all-to-familiar tale of a woman ending things with her man, but Hale brings ferocity to the proceedings that help sell the track beautifully. While the electric guitars may come on a little thick on “Lie A Little Better,” Hale’s confident vocal cuts through the noise just enough that isn’t as intrusive as it could be. 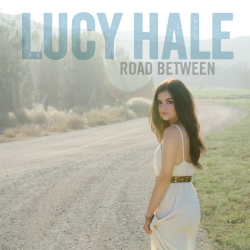 “Kiss Me” is a lot softer and allows Hale the room to breathe and give a tender vocal that’s quite endearing. With neither of the songs overwhelm lyrically, Hale saves the day by injecting the right amounts of personality into her vocal performances. “Love Tonight” is another similar song in nature, but the handclaps in the melody are a bit addicting and make up for any weaknesses in the lyric. “From the Backseat” is a nice mid-tempo number sonically reminiscent of Sara Evans’ Restless album written by Mike Daly, Jimmy Robbins, and Nicolle Clawson. The track had me until it went flavorless on the chorus, which employs the wall-of-sound production technique so much that it intrudes on the uniqueness of the song and Hale’s vocal. The truest test for any singer on a debut album is the moments where the production is left sparse, where any vocal limitations will stand out like a sore thumb. Hale’s moment comes on Tom Douglas, James Slater, and Lindsey’s “Nervous Girls” and she passes with flying colors. The production may still lean country-pop, but she proves quite nicely that she can hold her own against any of her contemporaries. Joe Nichols, back in traditional country mode vocally, joins Hale for “Red Dress,” a somewhat awkward moment that finds the two playing out the male and female aspects of a relationship. Kacey Musgraves co-wrote “That’s What I Call Crazy” and proves she’s adept at writing both artistic and commercially viable numbers. Hale’s only co-write comes in album closer “Just Another Song” and it’s one of the strongest numbers on the album thanks to a co-writing credit by Catt Gravitt, who helped write some of the best numbers on Kramer’s debut two years ago. Listening to “Just Another Song” makes one wish Gravitt had contributed more here, as she thrives in this type of setting, writing songs for young female artists who may be looking for a voice. While there’s little revelatory aboutRoad Between, it does showcase a budding talent that has the goods to extend her television career into one involving music. Hopefully she’ll be allowed to record a bit more substantive material going forward (really, how many numbers about kissing does one need on an eleven song album?) and further develop the strong potential she showcases onRoad Between.